As a Writer, Are You a Poet, Too? I am not a poet, not even a bad one! Some have a natural flair. A friend who used to be in my writing class often brought poetry to share--really beautiful poetry. She could take an episode from her work as a nurse, or a sight she'd seen on vacation, or even a dead deer she'd come across in the park, and create something breathtaking. My husband, with a statistics and engineering background, also writes beautiful poetry. When we were dating, he wrote some gorgeous pieces for me! I know what you're thinking--he was on his best behavior and just trying to impress me. So? It worked! And I know you're wondering when the last time was that he wrote me something. Okay, it must've been 19...well, I can't remember. But he has helped me write poetry! I'd written a scene involving two wealthy ladies (in the American south of 1936) who are discussing the work of a nationally acclaimed southern poet who'll be doing a reading in their town that afternoon. 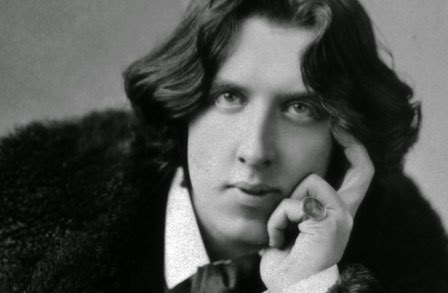 Even though this gentlemen writes love poems that practically make women swoon, he's gay. This poet of my imagination is Bennett Stuart. I'd come up with a sappy sweet title of an anthology, but my writing class suggested that one of the ladies recite a poem, one that sounded pretty awful for comic relief. Of course that meant I'd have to write something--NOT! Remember, I can't even write bad poetry! After struggling for far too long and only producing two lines, I asked Mr. McKenzie for help. After explaining the time period, circumstances, and that it needed to be bad, my wonderful husband wrote the perfect poem. And it only took him a mere 15 minutes. If you want a good laugh, the finished product is posted below! Are you a natural poet? of nothing but your gaze. ‘tis you that are soft and warm. fluttering back to you and your golden hair. to call me your lover, your beau. rather than grits, greens or red eye gravy. you’ve mostly warmed my heart. Heard Any Great Lines Lately? The new guy's an idiot, but that was a great line. And sometimes real life provides dialogue that our pens can have fun with by adding to a work in progress. What are some great lines you've heard in real life said by a spouse, friend, child or relative? One of my favorites was said by an acquaintance at my gym. I didn't hear it first hand, but she told me after the fact. "I don't care how many battles you've fought or how many people you've killed, but if you say something like that to me again, I'm gonna get down off this machine and make sure you'll never fight again!" Please join me in welcoming author Sharon Black as a guest. Her debut novel, Going Against Type, is now available! With the inspiration of an American movie classic, she has created a very fun romantic comedy. Take it away, Sharon! 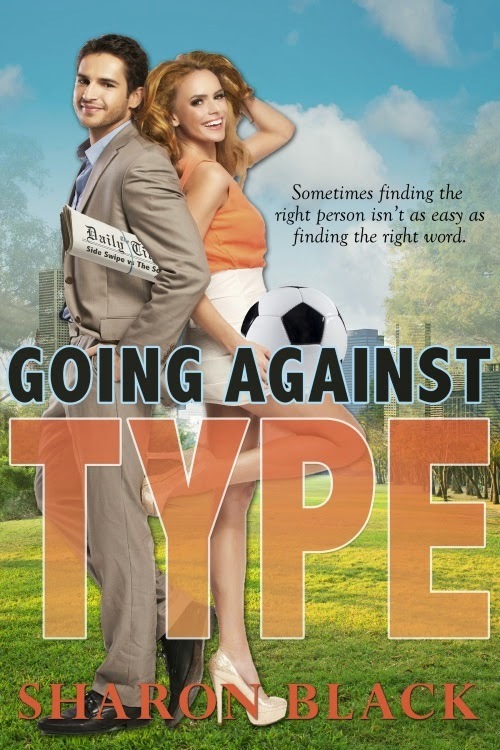 Going Against Type is a romantic comedy, set against the backdrop of Dublin newspapers. It’s the story of two rival columnists, who write under pen names, and who fall in love, each not knowing that they are dating the enemy! 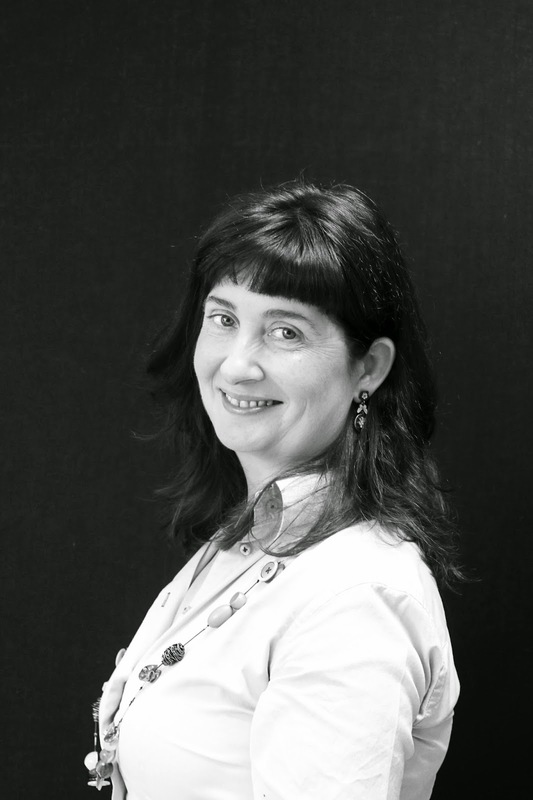 I worked as a journalist for national newspapers in Ireland – that’s my background. Which made it easier to set the book in newspapers. But my inspiration was an old Hollywood film, Woman of the Year, starring Katharine Hepburn and Spencer Tracy. In Woman of the Year, Hepburn plays a high brow newspaper pundit, who rubbishes sport. Tracy is a sports columnist who leaps to its defense and attacks Hepburn. In the film, they are forced to work together, and quickly fall in love. Going Against Type, I turned the stereotypes on their head, so my heroine, Charlotte, is a sports reporter and a bit of a tomboy. My hero, Derry, is a fashion writer and gossip columnist, and he starts the war of words and wit, when he attacks Charlotte’s column Side Swipe, after she slags off footballers who get involved with promoting big brand fashion. So the fun begins! Fiona turned to smile at him. Sharon, thanks so much for joining me today and telling us a bout your new book! Great story line--I love how you've reversed the Tracy and Hepburn roles! To find out more about Sharon, visit her blog, sharonblackauthor.blogspot.com, and author page, Sharon Black Author Page. And be sure to check out Going Against Type! 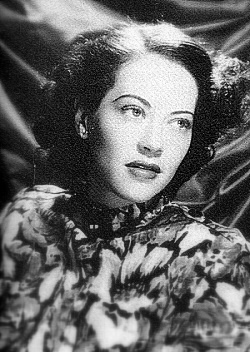 The real black girl mentioned above was Fredi Washington, an accomplished African American dramatic actress during the 1920s and '30s. Fair skinned with green eyes, she was often asked to "pass for white" in order to receive better opportunities in films. However, Fredi refused. "I'm honest," she said, "and you don't have to be white to be good."